Boston 2024? City Is Chosen To Bid For Summer Olympics : The Two-Way Boston won a tight contest to become the next American city to bid for hosting an Olympics, beating out Los Angeles, San Francisco and Washington, D.C., for the right to vie for the 2024 Olympics. "This selection is in recognition of our city's talent, diversity and global leadership," Boston Mayor Marty Walsh said. "Our goal is to host Olympic and Paralympic Games that are innovative, walkable and hospitable to all. Boston hopes to welcome the world's greatest athletes to one of the world's great cities." 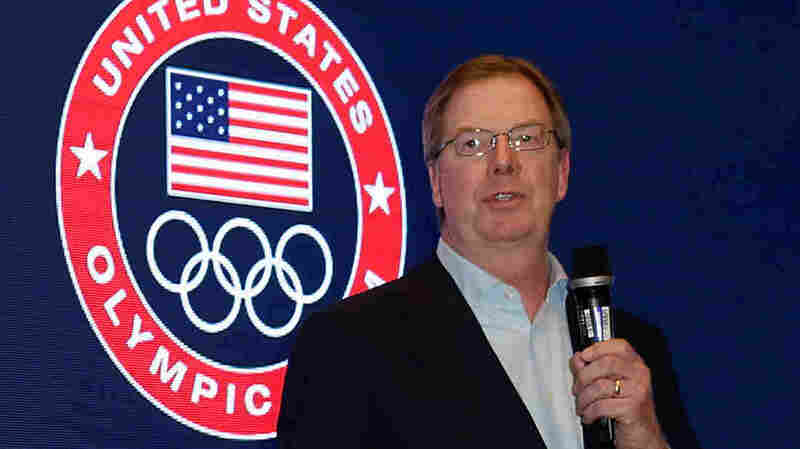 The U.S. Olympic Committee made its final pick Thursday, ending months of suspense in four U.S. cities that were named finalists last June. The USOC announced the decision after meeting at the Denver International Airport Thursday afternoon. We've updated this post to reflect the latest news. Boston's Olympic organizers will spend the next two years trying to gain support on the International Olympic Committee, which will choose a host city for the 2024 games in 2017. Ahead of Thursday's meeting, oddsmakers were calling L.A. and Boston the two favorites. Los Angeles had the advantage of having successfully hosted the Summer Games in 1984 (and previously in 1932), while in Boston, there's been vocal opposition to hosting the games. "The group No Boston Olympics has criticized the process for its lack of transparency," member station WBUR reports. Explaining his opposition last month, No Boston Olympics co-chair Chris Dempsey told WBUR, "Olympics do force you to build a bunch of stuff. But it's stuff that you really don't need." Instead of Olympics facilities, Dempsey says, the city should focus on improving schools and health care. Boston organizers are hoping to bring the Olympics back to the U.S. for the first time since the 2002 Winter Games in Salt Lake City. By the time the games begin in 2024, there will have been a 22-year gap. As we reported earlier this week, the 2024 games are seen as being within the reach of a strong American bid — but the winning city will face stiff competition, "including Rome, a yet-to-be-named German city, and possibly Paris or South Africa." As NPR's Howard Berkes tells us, "If South Africa bids, some in the IOC may be tempted to stage Africa's first Olympics ever," as the organization seeks to spread the spirit of the Olympics. Two American cities have recently been denied in their bids to host the Olympics (New York aimed for 2012 and Chicago for 2016). But the International Olympic Committee might be more receptive to a U.S. bid now, thanks to a newly adjusted revenue-sharing arrangement.